Light Blue is a perfume by Dolce & Gabbana for women and was released in 2001. The scent is fresh-citrusy. It is being marketed by Shiseido Group / Beauté Prestige International. During a shopping spree with daughter, a cosmetics department of a large department store was also visited. There was still the meanwhile exotic brand Margaret Astor. Then I stocked up and got a sample of Light Blue packed at the cash register. I was very curious about the test with the original scent. In the meantime he has got some relatives from the drop shelves. Since I judge fragrances not by the price, but by my nose, I have all price classes in the cupboard. The beginning shockingly synthetic stabbing for something in lemon. Very uncomfortable for me. After a short time Jasmin and Rose should come. But they were only there for a short time, because the bamboo pushed to one side and fought with lemon for dominion. Also amber; musk and cedar wood, which round off so many scents beautifully, showed up only briefly. Again and again a very artificial scent pushed through. May the harsh words be forgiven, but that's how it smelled at Bayer on certain days in the 70s, when the suspension railway drove through the factory premises. The days then the smell on it and then I was addressed by an acquaintance whether I would not smell also the strict smell after cleaning agent. My turnip turned bright red. The woman came closer and was amazed to find that it was my perfume that smelled so good. After 2 hours the spook was over. Light Blue is a very good example that sometimes less can be more. No endlessly overloaded fragrance pyramid, but a clearly structured fragrance structure distinguishes this cream-fresh hit which is predestined for the summer. "Keep it simple." Whether Mr. Cresp already had this motto in mind when approaching this composition I don't know, but the finished product reflects this guiding principle perfectly. Apple, lemon (a very mandarin lemon in my opinion...), a hint of jasmine and wood. All accompanied by this clean and light creaminess. Beautiful, successful scent for the warm days. I don't need a big bouquet of flowers or a sticky carnival sweetness, which I also appreciate with a woman's scent and is rare nowadays. Lasts about 5 hours with my girlfriend, which is really remarkable for a rather light summer perfume. I am also astonished by the fact that there are only marginal differences between the men's and women's versions. All in all a great candidate for the warm season, which can score well with its simplicity and harmonic composition. Light blue, that's what my father used as watercolor in his painter's box. It reminds me of very early times, of hours of familiar, common falling in love with brushes and colours. Light Blue for me is the embodiment of the longing for the clear and undisguised perception of early childhood, for the freshness of the morning and the element of surprise in which a sudden ray of sunlight bathes everything in a completely different light. It doesn't last soooo long with me, maybe about 4, 5 hours - a TZ is part of it during the day. For me it is only suitable when it is very hot outside, otherwise it just disappears into nothingness. I would enjoy it way more if the citrus came forward on a way higher scale. It stays just too fresh and green on me, and when I want it really fresh I prefer Alfred Sung Shi. If I want it citrusy, I prefer Happy by Clinique, Estee Lauder's Bronze Goddess or Intrusion by Oscar de la Renta. I like it, and I will keep it in my collection as a different summer option, but it is not a WOW summer fragrance for me. Probably one of the most pleasant citrusy scents I've come across. The citrus is mellow and sweet, rather than tangy or sharp. Light Blue is somehow cool and warm at the same time. It's an incredibly pleasant scent, relaxing and laid back. I received a bottle of this as a gift, and the 1st time I tried it I really disliked it. I thought it too masculine, and the cedar seemed so prominent that it was all I could smell. The 2nd time I tried it I liked it a bit better, but not much. Same thing with the 3rd try. After that, the bottle sat in the back of my cabinet, all but forgotten. I came across it recently, and decided to try it again. I couldn't believe it - was this the same perfume??? I was now getting the lime, bamboo and musk notes along with the cedar. I don't know what caused the change, but I now find it very wearable. I don't love it, it doesn't stand out from all the similar perfumes of this type, but it's a solid like. Longevity and sillage are both good on me. Yeah, right...Here comes another gimmick for those who never had the chance to smell the titanesses of the '80s and early '90s in all their might and splendour, D&G Red included. Being one of the very few fragrances that I succeeded to reproduce to a tee, with even greater sillage and longevity, renders it no epitome of sophistication or complexity. And for me these two adjectives are conterminous but not undifferentiated. Having just a handful of notes and be sold by the millions, Light Blue is the perfect embodiment of what I despise the most when it comes to fragrances. But you know what? Who cares? I LOVE the damn thing! I can't explain how or why, but I love it! It's a happy cloud of carefreeness surrounding the visions of a much dreamt summer vacation, where one is slowly turning to a bronze statue under the Mediterranean sun. It's a flirty mood carried by the wings of the seagulls following a ship heading for an Aegean island. It's the liberating feelings of a woman standing over a seaside cliff, with her hair waving in the sea breeze, pondering over whether to succumb to the impulse of diving in the welcoming waves below, be cleansed from every mortal onerous strain and emerge a goddess. After all, who needs a gazillion of notes to take her in a feelgood universe? Who needs sophistication and complexity when a sandy beach and a shared apple are all that's needed to unravel the mysteries of falling in love? Who needs high-priced and pretentious garments when an azure tattered pareo blends her with the sea and sky that gave birth to her? Who needs to smell like any artsy exotic ingredient when she can smell like lemons? The opening is divine. Bright, green, fresh. It's a very pleasant scent, completely different from others I have sampled. The drawback... it's pretty linear. After a few hours I got bored with it. I prefer the scents that change over time on my skin or ones that give me different hints of the notes during the different times I sniff it. This one doesn't do that. It smells exactly the same from beginning to end, which took about six hours for me. It's a well balanced scent and I can understand why it is so popular. It's not one I would buy myself. For the price I expect the scent to evolve more on my skin. If your a shirt sprayer then this one is perfect for you since most scents are linear on fabric anyways (from my experience). The main notes I got out of it was the citrus, bamboo, cedar and a hint of the bellflower. This is so moodlifting, so light and fresh and just enough sweet, but not only that; it lasts 8-9 hours on the skin. It is as close to perfection as you can get when it comes to Summer scent . Although it´s a fragrance you smell on a lot of people since its release 2002, I could not resist any longer. Due to all the hype I was not really interested in trying it, also I find that citric fragrances do not last so long. When I had the opportunity to test it, I was rather positively surprised. Light Blue starts with a burst of citrus under-laid by musk and cedar. It stays very linear with the citrus getting a bit weaker and lasts for about five hours, which is no bad for a humid rainy summer day. But if one owns ECLAT D'ARPEGE by LANVIN, it is not really necessary to own this one as well. Maybe it used to be original???? 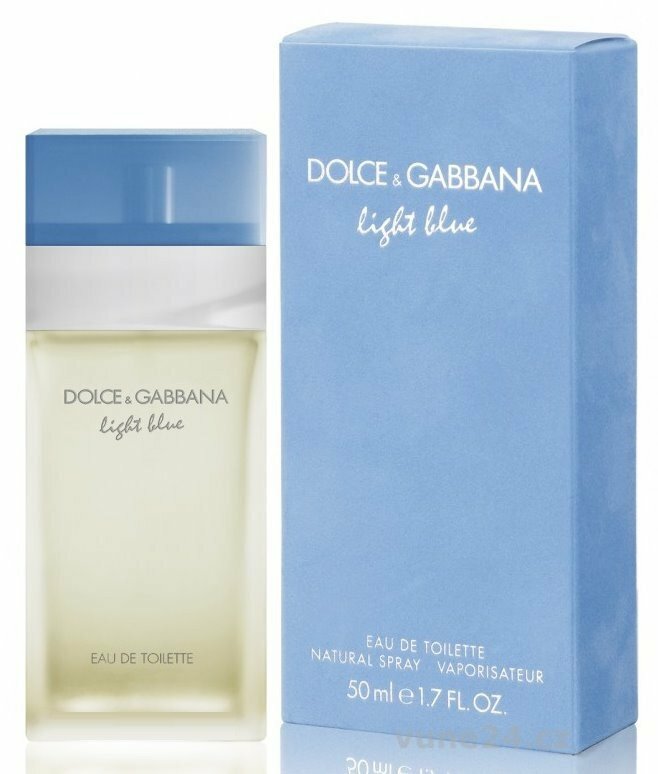 Now that Dolce & Gabbana LIGHT BLUE has been exalted by The Curator as a masterpiece of olfactory art, I decided that I'd better give it another sniff. I have never owned a bottle, but apparently this fragrance is wildly popular, and its popularity is bound to surge once again, allowing it to rise like a marketing phoenix as a result of the current exhibition--coinciding, I might add, with high holiday shopping season--at the Museum of Arts and Design. Talk about an ingenious marketing scheme... Bravo to the masterminds at P&G! I've seen several reviewers compare this composition to Bond no 9 SCENT OF PEACE, and I must say that in the opening seconds there is a definite overlap. However, once the bright and shiny SSRI opening has subsided, LIGHT BLUE--at least in its current formulation--dives immediately into a now tired iso-E-super plus ambroxan drydown in near ubiquity among men's colognes. So it is no longer original, if it once was. Was the trend begun by LIGHT BLUE? 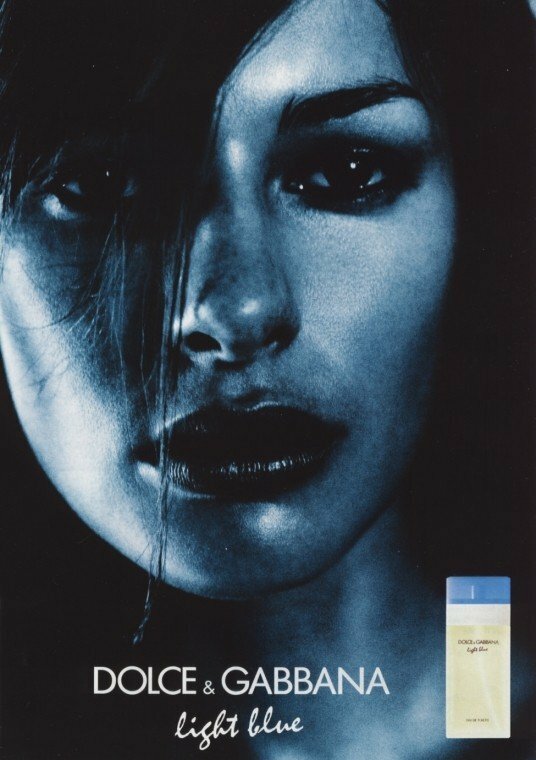 Or was LIGHT BLUE reformulated to conform with the trend? Qui peut savoir? In the end, if this is what LIGHT BLUE once was, then I don't believe that I missed out on a great fragrance. If this is only what LIGHT BLUE has become, then I must say that it is misleading to vaunt this current version as a masterpiece of anything but marketing. About 2 months ago I made a list of all the best-selling fragrances around the globe and made it my duty to try them all. Light Blue was on this list. I would love to have had a picture taken the moment I sniffed this for the very first time. I think I was in utter disbelief as to how people loved this perfume. All I got from this fragrance was a strong, sour burst of lemon. I usually associate lemon scents to detergents and cleaners around my home. This was in no way a pretty or feminine fragrance. I have Moschino Funny! which is slightly similar, but more floral and much lighter. I consider Funny! a better alternative to Light Blue. I will however add that men seem to love this fragrance, even though they agree with me when I say it's strong and somewhat sour. Reflecting back on this review in 2016: I still don't enjoy this fragrance enough to add it to my collection, however I have since met many people that wear this fragrance on a regular basis. Light Blue tends to smell better on people with the right skin chemistry. My best friend for example wears this fragrance beautifully, in fact it's her signature. It smells refreshing and crisp on her skin, however on me it still gives off very masculine vibes with a hint of pencil shavings. Used to love this scent. I can't stand it nowadays.